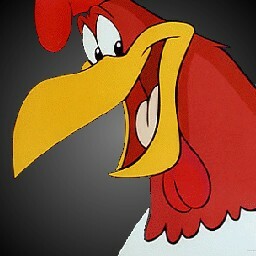 You've found yourself at a website devoted to that Looney Tunes character Foghorn Leghorn (and his various co-stars). If you just wondered in while following one of the webrings, I'd invite you to take a minute to explore the One Foggy Site a bit. You can use the menu to the left to navigate around the site. Now the subject of this page is webrings and you can find these a little further down the page. Anyway, thanks for dropping by and I hope you enjoy your stay. Comments are welcome, just use the FEEDBACK page. So until next time: Adios you chicken-pluckin' little stinkar!